Our work in the private residential sector often involves negotiating between the strong character of London’s historic housing stock and the complex needs of modern living. 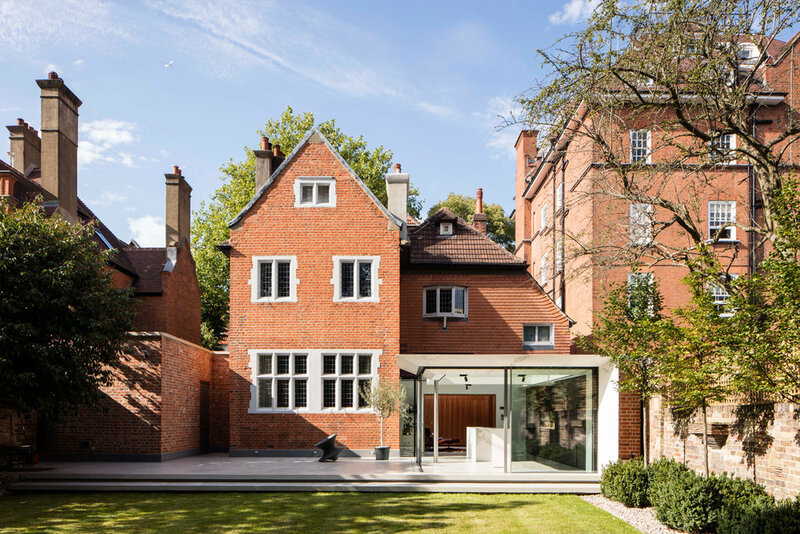 Recommended to the clients by the local authority’s Conservation office we obtained building and planning consents in 2015 for a contemporary extension, and internal and external work on this Grade II listed, Victorian detached property in Hampstead. Designed in 1886 in the style of a Tudor manor house, the property required an airier, more open space for dining and informal living. Our response to this requirement has involved the transformation of the dark former kitchen area into a John Soane inspired timber-panelled lounge that creates an effortless transition between the listed building and the modern glass extension. The development of the key detail became the centre piece of our exhibition “1:1” for the 2015 London Festival of Architecture.